My song “Four Wheels and a Spirit” was featured in this Hoodie Buddie promo commercial. 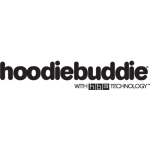 Using patented HB3Technology™, the Hoodie Buddie contains a standard headphone jack in the front pocket that plugs into any headphone-compatible device, like an mp3 player, iPod or iPhone, or other mobile device. 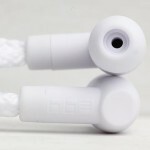 Once plugged into the device of your choice, the audio travels through embedded cables within the Hoodie Buddie to the headphones, which are built in to the ends of the drawstrings. 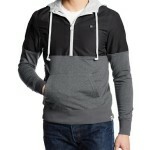 Best of all, the entire Hoodie is machine washable (even the headphones). All you need is four wheels and a spirit. This was my very first ‘sync’ in the wide world of commercial advertising with audio for TV & Film. One of my best friends had just graduated Full Sail University in Orland, Florida and was offered an opportunity to shoot a promo commercial for Hoodie Buddie. I had also just graduated Butler University, and was looking for opportunities to build my resume in my respective field — Audio Engineering. I had just finished my first ‘mixtape’ entitled Limitless, and sent it to him as a freebie. He fell in love with “4 wheels and a spirit” and asked if I’d be interested in allowing him to use it in the commercial. It was a match made in heaven and the commercial was made, simple!